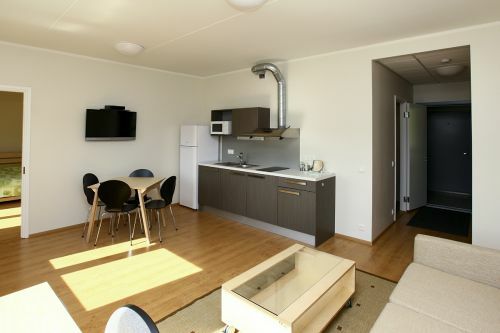 Since August 2010, the Baltic Defence College's students have been provisioned with new and modern accommodation facilities, located approximately thirty minutes by foot from the main college building and twenty minutes from the city centre. The new dormitories give students excellent housing conditions, which allow them to concentrate on their academic studies. The buildings are arranged as one community, with several supermarkets and fitness gyms within five minutes' walk. 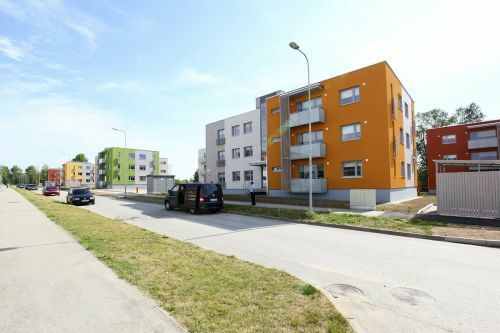 The new complex consists of five separate buildings, each with seventeen apartments and a room for communal purposes (a sauna, storage room, laundrette or meeting room, all with the necessary equipment). 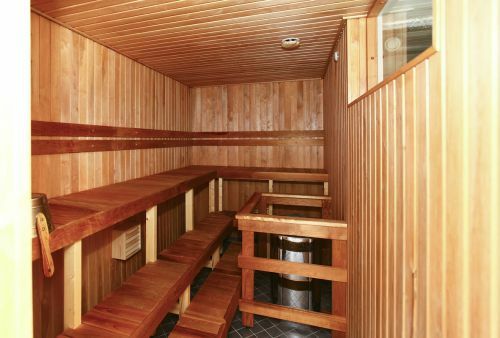 The sauna is the social hub of the dormitories complex. It is used almost every night of the week. 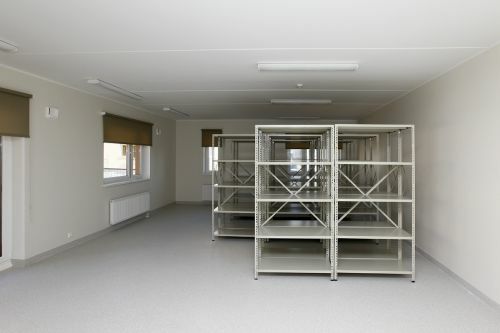 The storage room contains enough space and shelving for the entire complex. It is also equipped with a cycle rack for bicycle storage. 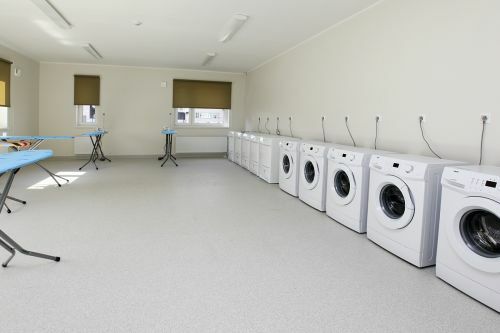 The laundrette has six washing machines and five tumble driers, which are free to use. 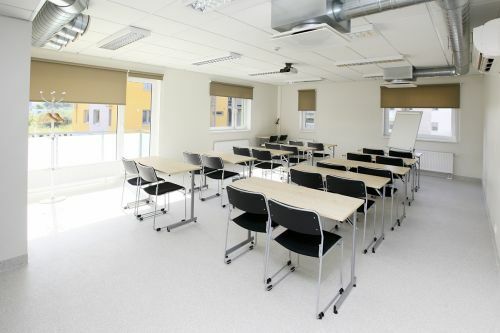 The meeting room can be used for various functions, including social and academic ones. Each apartment has a closet or large set of cupboards for storage. Each kitchen includes a dining table, electric hob with extractor fan, fridge-freezer, microwave, kettle, cutlery, plates, cooking utensils and a dustbin. 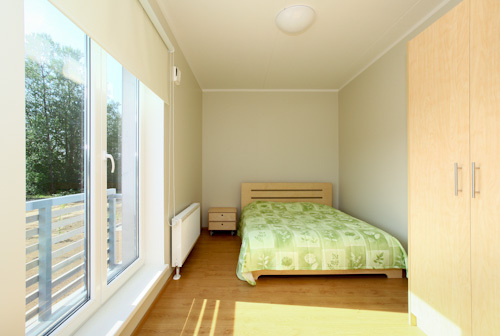 Most apartments have one bedroom, while others have two: each is equipped with a wardrobe, desk, bed with a sanitary mattress, continental quilt, pillows and a throw-over cover. 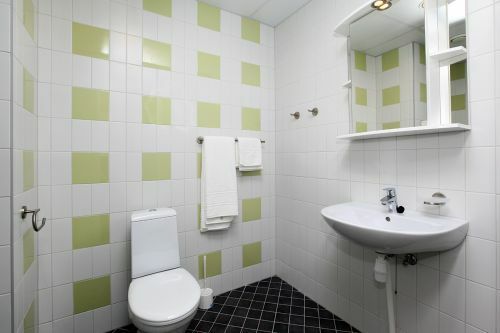 Each apartment has a bathroom or shower room with bath (or walk-in shower), a cabinet with a mirror, towels, sauna towels and a toilet; in addition, each bathroom or shower room is equipped with underfloor heating. Throughout, each apartment has sun blinds, a television, internet, study desk, chairs, table lamp and some have a balcony.